We have the pleasure to announce a new official Rubik's Cube championship: Arnold Open 2017. 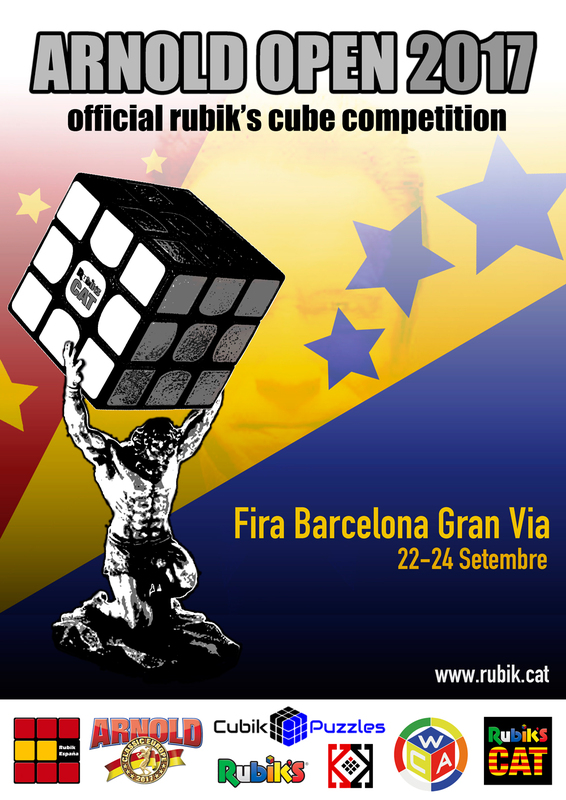 It will take place at Fira Barcelona Gran Via in 22-24 September. The organizing team is headed by Pablo Nicolás Oshiro Mondoñedo. If you have any question you can send us a message through our contact mail and we will reply you as soon as possible.